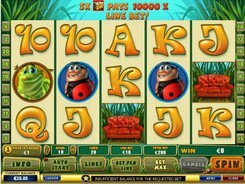 The online slot game Banana Monkey will be duly appreciated by merry adventure lovers. The game symbols are associated with animals and the food they eat: zebra, giraffe, coconut, melon, etc. 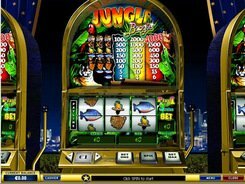 The coin value of this 5-reel slot machine varies from $0.01 to $0.05. The highest possible bet is set at $100, and you can select whatever quantity of paylines to bet on. The biggest prize you can collect is 2500 coins. Sometimes, a banana appears on any reel and drops into a basket. 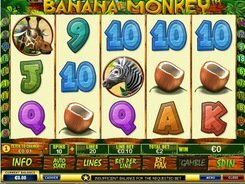 After gathering 4 bananas under any reel, you get a 3x multiplier and 8 free spins. 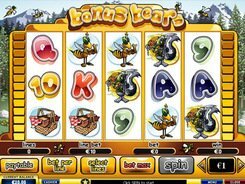 If you meet one yummy banana during the free spins feature, you get extra four spins. 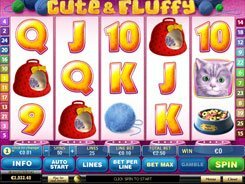 Monkey, the scatter symbol, starts an enticing bonus game and increases your total bet. The bonus feature opens up with a monkey running on the screen and shouting ‘Banana Bonus!’ Use arrows to move the monkey in a required direction. Besides, the banana with a x2 mark doubles the winnings to be collected after. 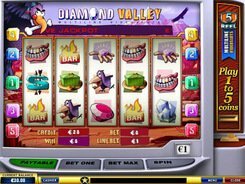 Gather 25 bananas in the slot game and hit an incredible Banana Jackpot! PLAY FOR REAL MONEY!